Since Lebron signed with the Lakers, I’ve heard nothing but hypocrisy and and hate from the national media regarding the teams outlook. 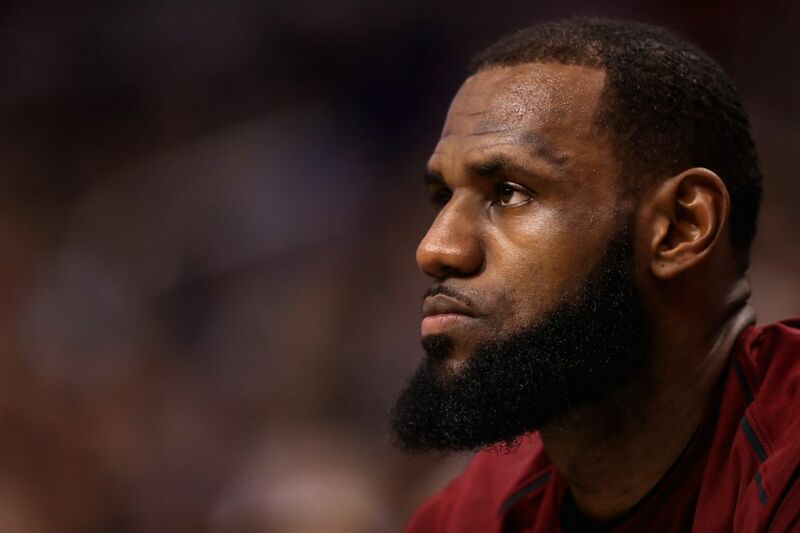 Apparently prior to signing with the Lakers, Lebron James was viewed as being able to take any team he’s on to the finals. Now that he’s on the Lakers, the media says he might not even make the playoffs. The media also seems to think that every other group of young players in the league are going to improve, most notably in Boston and Philadelphia, yet that couldn’t possibly happen in LA. Every team also improved themselves in free agency according to the media, except for the Lakers, who added the best player in basketball. And to think that all this time I thought it was just the people that work in the NBA that weren’t very smart. It’s the folks that cover the NBA that are equally as dumb. You’re now seeing just how bad the Dodger bullpen is now that Kenley Jansen is out for a month with an irregular heartbeat. I’ve been telling you just how flawed the bullpen is for years, but now you can actually witness it. They couldn’t close a game in Colorado over the weekend, and they probably couldn’t even close a hot dog stand. It also doesn’t help that for all the power in their lineup, the team can’t advance a runner, hit and run, steal a base, or do anything that resembles small ball. The irony of all this is that Dave Roberts was probably the ultimate small ball player, yet Andrew Friedman and his front office of nerds have handed him a bullpen that is a dumpster fire, and a lineup that doesn’t play to the Manager’s strengths. I guess that doesn’t matter to Friedman anyway, since he’s the one actually dictating who is in the lineup everyday, and how quickly his starters are removed. I’m beginning to wonder if the Dodgers are even going to win the NL West. You’ve gotta wonder who it was that leaked the rumor that Mike Scioscia was stepping down at the end of the season. I’m thinking it was somebody in the Angels’ front office, and that the front office doesn’t really want him back. Scioscia claims he’s not stepping down, but with with no playoff wins in almost a decade, it’s safe to say he already has. For just a moment it looked like the Halos might be making a charge back into the pennant race. However, after coming up short in Oakland over the weekend, and 24 of their last 36 games against teams with a winning record, my odds of winning the Powerball are better than the Angels making the postseason. Rams General Manager Les Snead told the media on Saturday that contract talks with Aaron Donald were “in the same zip code”. Anybody that lives in LA knows that even though you are in the same zip code, you are actually really far apart because with traffic it takes forever to get there. You can’t blame Donald at all, but if the man wants quarterback money, I don’t see this ending anytime soon. Unfortunately for Donald, the Rams have all the leverage here. They have his rights, they aren’t going to trade him, they already have a great team, and 3 very winnable games to start the season. We’re just a few weeks away from the start of college football season, and Clay Helton has a dilemma on his hands at quarterback for USC. The obvious choice seems like JT Daniels, but he needs both Jack Sears and Matt Fink in case things don’t work out with Daniels. It’s sort of like making sure you still have a side piece or two, hedging your bet in case things don’t work out with your girlfriend. This is exactly what happened with Max Browne and Sam Darnold. The Trojans had to keep Browne on the bench for a while and make him think he had a shot in case things didn’t work out with Darnold. The quarterback business in college football is brutal. Yesterday was unbelievable at the PGA Championship. Tiger came in second and the crowd went nuts. Brooks Koepka won it all and I’ve heard louder hand shakes after Sunday service than cheers for him. 3,709 days since Tiger won a major. 3 different Presidents, 3 different Spider-Men, 11 different iPhones, every team in the AL except for the Mariners has won their division at least once, including the Astros, who joined the AL in 2013. It’s a really long time. Still, the man has incredible star power. It’s going to be a long winter without seeing him back on the course, but hopefully he can build off of it for the sake of the sport, and our excitement. Not hard to understand why Tiger has so many back problems when he’s been carrying an entire sport for 20 years. Finally, I had the pleasure of attending the taping of The Final Rose last Monday on ABC for the season finale of The Bachelorette. For a season that frankly wasn’t all that good, I have to say that the experience at the taping was phenomenal. This was a 3-hour show, yet during the commercial breaks they keep the energy going by getting you to dance, interact with the MC, and Chris Harrison himself keeps you entertained. Harrison comes up into various portions of the crowd and interacts with as many people as he can to keep that energy going. They don’t lie, you will be on camera, as they do a lot of audience shots. As for the finale itself, couldn’t somebody have handed Blake a towel or tissue so he didn’t have to blow his nose and wipe his tears in his suit? Of course Becca ended up with Garrett because ABC loves racists and homophobes. Nevertheless, Blake couldn’t keep it together when he met her family. He was more nervous than Dwight Howard on Fathers Day. You’ve also gotta love the fact that Becca is a publicist and completely crafted Garrett’s statement on the show in response to his homophobic social media behavior. Don’t feel bad Blake, you’re about to have about 10,000 girls slide into your DM’s on IG. 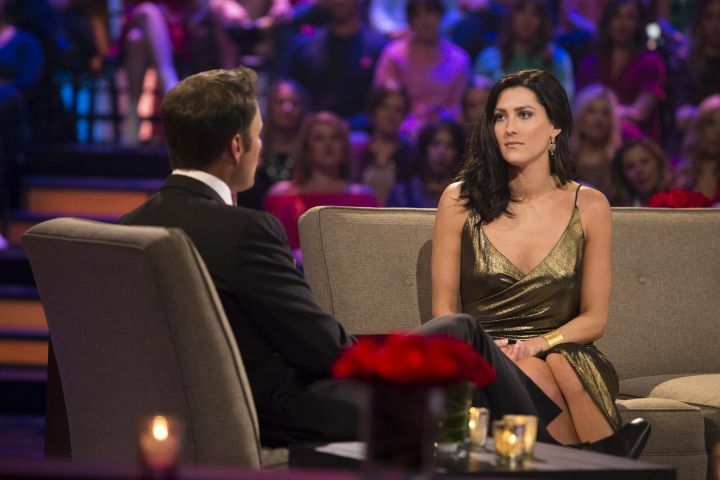 As usual, the show ended for most people in disappointing fashion, yet you’ll all be back in a few months watching this train wreck again, if you’re not already watching The Bachelor in Paradise. This entry was posted in Morning Coffee on August 13, 2018 by omzzzzz.